It’s a land that doesn’t run to typical timeframes. Here, the Aboriginal people recognise six seasons and you can’t tear a sheet from a calendar to find the changes of season. Instead, it’s nature that tells you when things are on the turn. Kakadu is full of so-called ‘calendar plants’ and during my first visit in May, the Darwin woolybutt trees were just beginning to ignite in orange flower, a sign that Yegge – the cool but still humid season – was beginning. Last week, at the first sign of clouds across the sky, I heard murmurings about the start of Gurrung, the approach towards the dreaded soup-thick-humidity that precedes the monsoon. 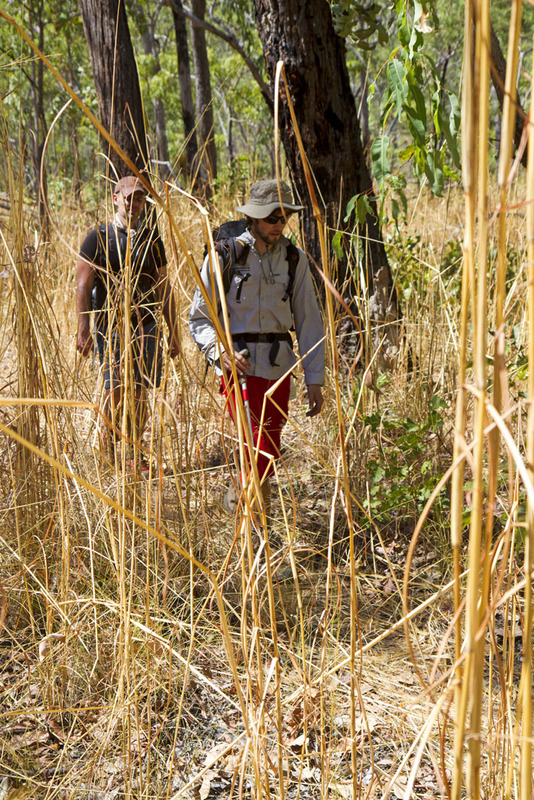 Speargrass is another marker of time in Kakadu. Ever-present in the savannah that dominates the Top End, it’s associated with Banggerreng, the so-called knock-em-down season, named because the weight of rain and wind soon after the Wet makes the towering speargrass collapse onto itself, creating a scene like a bird’s nest across the land. Cyclically the speargrass is burnt – fires that crawl across the savannah, looking like anything but the typically apocalyptic image of an Australian bushfire. As I discovered last week, however, the speargrass doesn’t always collapse during Banggerreng. As our group walked on the little-trodden track to Kurrundie Falls, the speargrass towered overhead at times, even though Banggerreng was about three months gone. I now know what it’s like to be the mouse in a haystack. 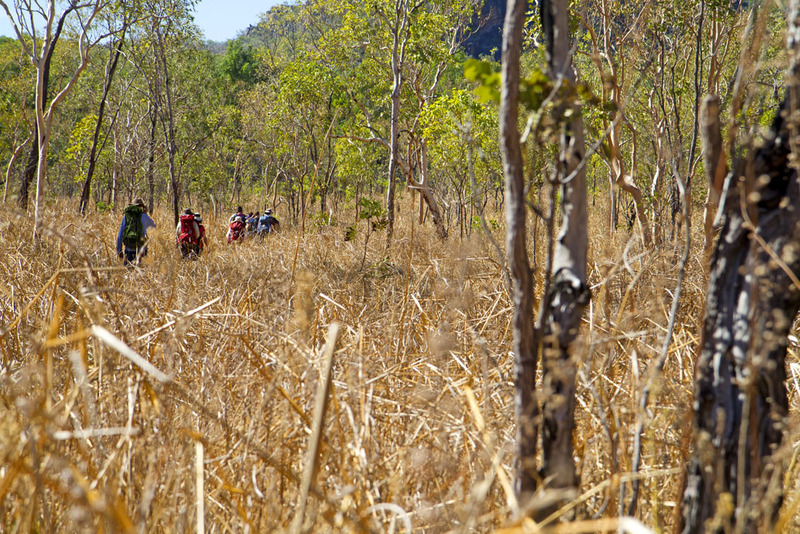 * Adventure before Avarice travelled courtesy of World Expeditions, on its new Kakadu Walking Adventure trip. Love the mouse in the haystack analogy. What an adventure! Annd certainly, thanks foor your sweat!